There's a difference between a hotel room and a bedroom. Even if the wall color and the furniture is the same, personalization is important. It's what will make the space feel comfortable — a spot you'll enjoy coming back to or spending time in. Here are five ways to make a house or apartment feel like home. What do you like? What are you drawn to? Your interests and aesthetic should figure largely in the way you set up a room. Eclectic? Thrifted? What's your home style? Find your style by exploring room designs you like, seeing what you enjoy in other peoples' homes, and by looking at your wardrobe and the other ways you express yourself. Even in a temporary space, small touches can allow personality to come through. An easy way to personalize a space? Add items with meaning. Natalie Ensor moved from Southern California to Nashville a year ago. 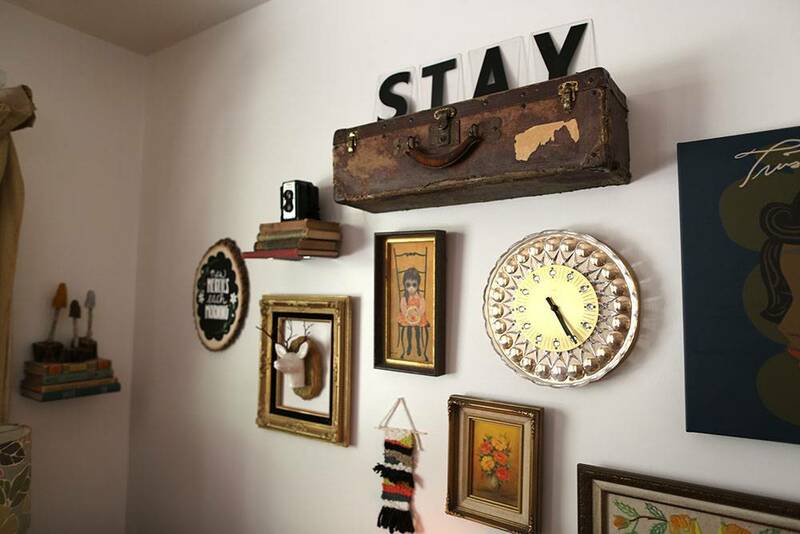 When she began decorating her rental, she added pieces that were given to her by friends, especially in her guest room. "Almost everything in there was a gift, which is why it belongs there," Ensor explained. "Friends will probably stay here, so items friends gave me are there." When Lindsy Read, another Nashville transplant, made the trek out from Washington state with her family, she chose to bring decor that had meaning. 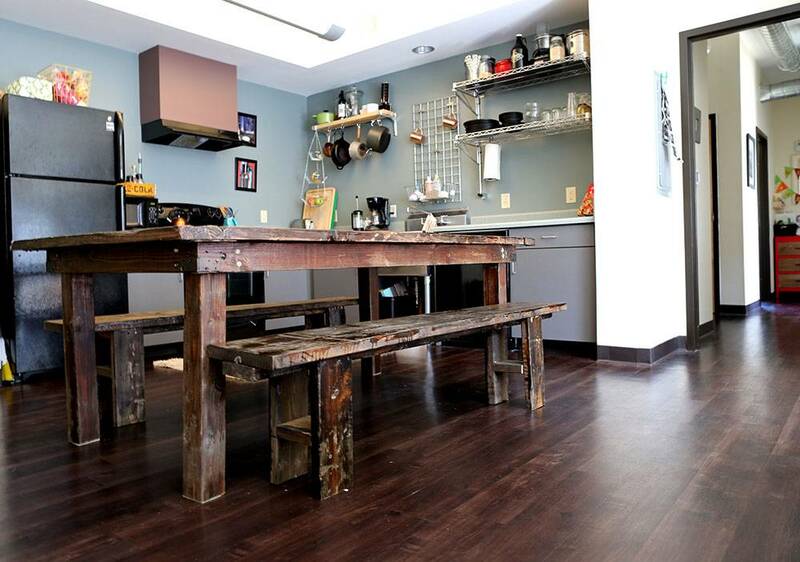 The chosen items included a kitchen table a friend built, and shelving she and her husband made to fit a small spot in their former Tacoma, WA home. A table made by a friend dominates Read's kitchen. "I like the things in our house that have a story," she says. Years ago, Read and her husband lived abroad in France. Small reminders of that year are scattered throughout Read's apartment. Ensor also makes it a point to add decor from the places she's been. "We hit up a flea market or thrift store every time we travel to bring something back with us," she said. Kate Gazaway, also a Nashville resident, relies on photography to recall her travels. "I love printing physical photos, because having that tangible memory is so important to me," she said. 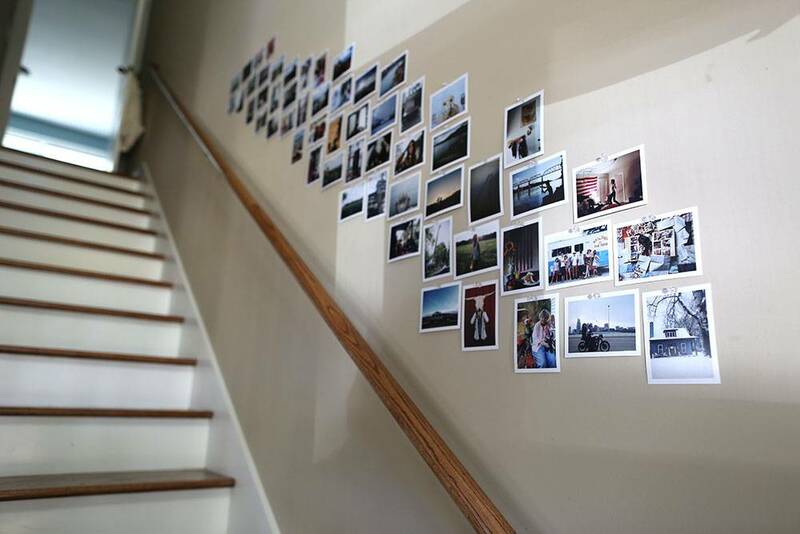 Printed photos from Instagram line her stairwell, and a small vintage case in her kitchen contains more photos — memories she can flip through when she has a moment. An easy way to personalize: print out photos and display them. "I used to not put out homemade touches because I was so transient," Gazaway said. "But when you actually place things on the walls, and you have a coffee table to put your books on — that's when you begin establishing roots." Even if you're not the handiest, items you've made or altered will bring a strong sense of self into a space. "So much of our home, we've built or made together," said homeowner Blair McLeod. "I've attached memories to the things that are in the home. I can remember what we were watching or what we were wearing at the time. [They're] sweet moments." 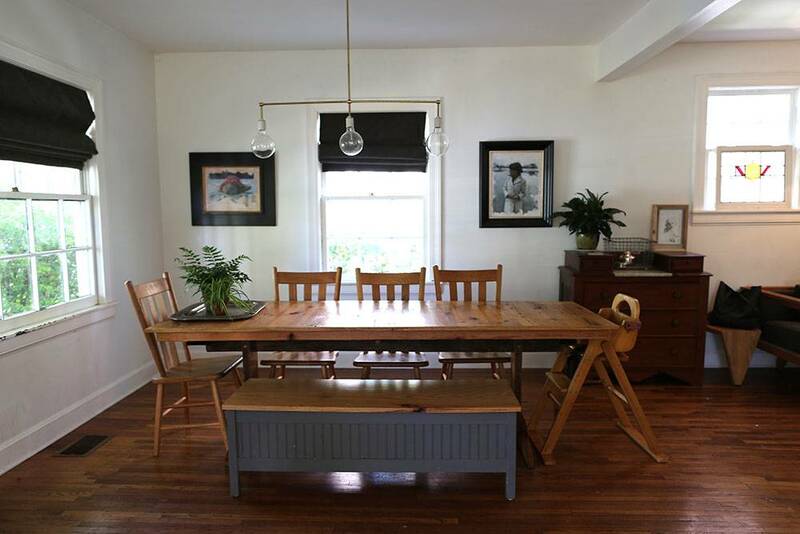 The McLeods' dining room table is made of reclaimed tongue-and-groove flooring. She and her husband bought the 1940s East Nashville home and have slowly transformed it from a 2-bed, 1-bath, one-story home to a 3-bed, 2-bath, two-story home with attached artist studio. Doing things themselves made the process a little bit slower, but more personalized. "We collect ideas, and then when we have the time and money, we try to make it happen," she explained. Your home, like your life, will change. "When we bought our first couch, that was a huge investment. Now I realize it doesn't matter in the long run," said McLeod. "The couch could go at any time, and that would be okay. A house is to be lived in, and for our family to be protected in. The things in it are secondary, and can be replaced."